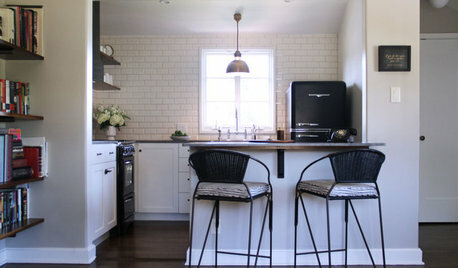 Tips for mixing light fixtures in a kitchen? I just installed a pendant above my kitchen table. 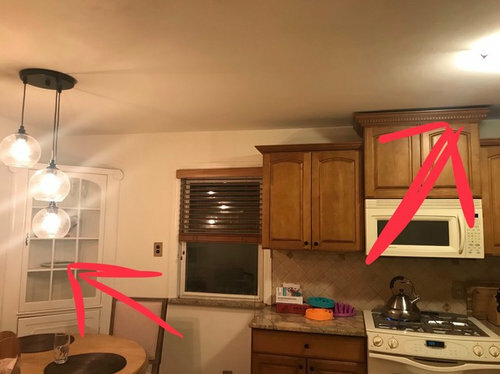 I’d like to replace the ceiling light above the center of my kitchen area. Are there any basic rules for how to combine a pendant with a basic flush or semi flush mount? For example should they be the same finish? Is it ok if my pendant is seeded glass and the flush mount is clear glass? Can I use a frosted glass flush mount? * I’m not asking if the pendant works in my kitchen, I’m just asking how to pair a semi flush mount with it. This very fixture is what maintains our planet’s place in the solar system. Removing it would force us into nuclear winter & effectively end all of humanity. Please, for the sake of all Earthly life, do not suggest to me that I change out this pendant! I’d keep the metal consistent. In the kitchen proper I’d also diffuse the bulbs so the light is easier on the eyes, so I’d go with frosted. Have you considered cans? Do you know the maker of your pendants? Often a manufacturer will produce a series of fixtures in the same family. Many include flush mounted. 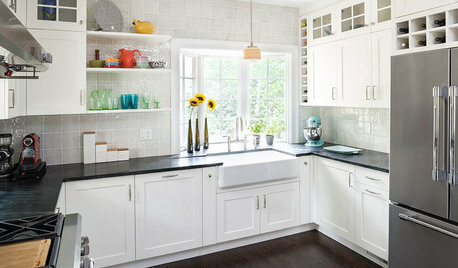 Kitchen Remodel Survival Tips - Share yours! beth9533, Find a Kitchen Dealer, not home center, that uses skilled employees instead of subcontractors so that a tight schedule can be maintained.Before the job starts, ALL materials should be staged in their warehouse. 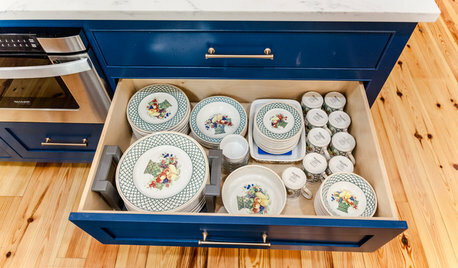 There is no good way to measure a countertop until the base cabinets are set, but some dealers have their own countertop shop to speed the process. This would be the biggest time delay. This method would work best for a fairly straightforward design with limited electrical &amp; plumbing. 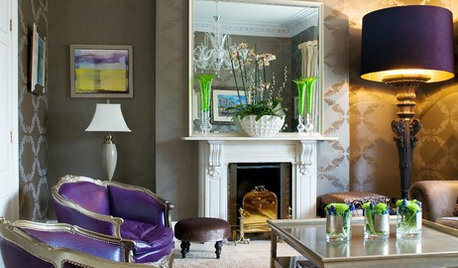 You can mix finishes and shapes and etc., but they do have to kind of be from the same &quot;family&quot; of look. Your library sconces seem real New England but the chandelier over the farm table is a bit jarring. So, perhaps something that picks up the black and is unique but with the black, kind of works. You could do black crystal chandelier?Or something with a black frame but unique crystal and long like shape of table. Need more information and pictures to better determine how everything works in your space even though it is open concept. Take and post a few more pictures of your space. Generally speaking, keeping references to shapes and colors is what ties things together. You could go with a bold color too. What is your favorite color in the space? Being a &quot;Lake House&quot; blue might work. Turquoise? Then the color and shape just stands on its own. Beachy look Metal band is kind of antique looking and turquoise shell really neat looking and would shine over a farm table? Any of these appeal. Can you see where something with color sort of goes with anything? If style and shape speak to space. 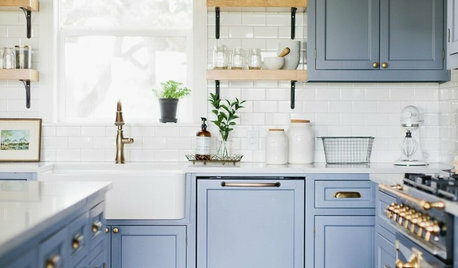 Mixing appliance, lighting fixture, and hardware finishes? Mixing metals is a great way to go. Here are two photos of a kitchen I designed showing dark bronze used at Hubbardton Forge light fixture over island, door and cabinet hardware, with stainless steel finish selected for appliances-sink-faucet. I hope this makes you a bit more comfortable with the idea. Cheers! 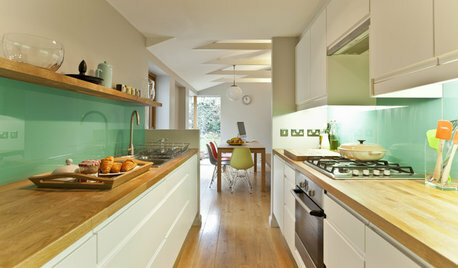 Since it appears to be the only lighting in your kitchen, have you considered a track light? Best limitation of comments on a dilemma EVER. Corinne wins the internet today! Grover- Anytime! These are the lengths I must go in order to discourage unsolicited aggressive opinions lol. I hadn’t considered track lighting mostly because I’m not sure what it is- but from what I see on my google search it looks so much better than a flush mount. UGH did I mention I hate the word “flush mount”? In fact I think this is definitely what I’m going to do instead. Provided it’s not impossible to install. So maybe I’ll change my question: how do I mix track lighting fixtures with my pendant? Corinne, cans are recessed lights. They're generally the modern go-to for kitchen lighting, but they require somewhat more skill to install than a regular fixture. Track lighting comes in lots of configurations and can generally be mounted anywhere you have a ceiling junction box. They're simple to install and would give you better light than a flush mount, though not as good as "can" or recessed lights. I actually really like the idea of track lighting since you mentioned it so my goal tomorrow is to find something I like on wayfair since I have a bunch of store credit. Is there anything i need to look for specifically to work with that pendant? Ex: should I be looking for ”matte black” specifically since the pendant was matte black? Do I need to find spherical shaped lights to go with my pendant? Is it ok if the lights in my track lighting are frosted since my pendant shades are clear seeded? To each his own in the end. We bought a home with a mish mash of lighting. I think most homes you purchase come with a package and all the fixtures match in metal and style. When we redid our kitchen we found a dining room fixture and DH flush mounted it We needed more light and this got us from one bulb to four. Our breakfast counter had one hideous work room task light fixture. Pendants were just coming on the scene. We struggled finding sconces or pendants that would work for our application. 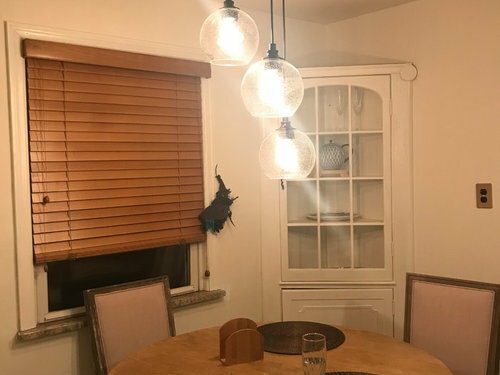 In the end we bought a second dining room fixture that matched the one we hung two years before and DH tore it apart and made four separate fixtures from it. I wanted them to match match. It is a more cohesive look. Corinne, there are almost an infinite number of track systems you can choose. You can choose a kit, which will come with everything you need: track, heads, and transformer if low voltage. Or you can choose components separately which means you install the track and then you add as many or as few track heads (the lights) as you want. ...or a fixed rail with spots that you can direct in any direction. Take a look and see what's available. The only caution I would have is to avoid halogen bulbs because they are so hot. Secondly, I think recessed can lights would look best. Your ceilings already feel low and any lighting that drops down into the kitchen will make the space feel even more compact or "coming down on you". I know can lights are more costly than simply purchasing a light fixture/track lighting though and me hypothetically spending your money is quite easy. 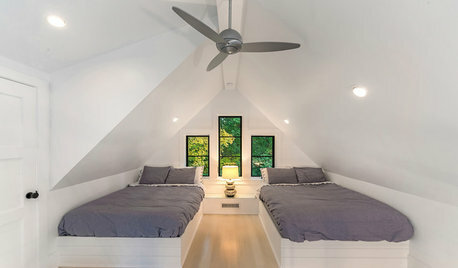 I’d try to find something with the same metal finish, as clear glass is not ideal in a ceiling fixture, or something that “disappears” because it is so neutral. Glo makes a good point about the recessed lighting. It wouldn't hurt to get a quote. can someone help me find this rug? ?